These specially tailored choir robes feature a hidden zipper and a V-neck design. Made with 100% high quality polyester fabric. 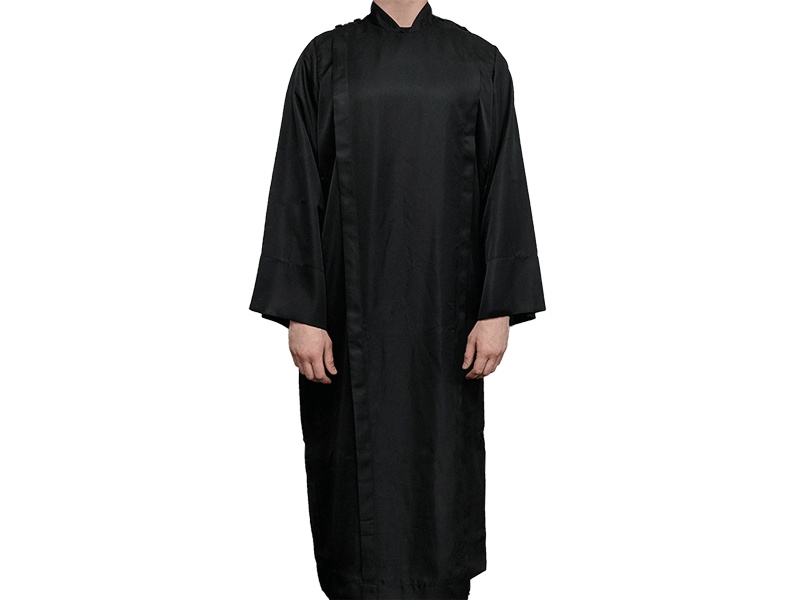 These full-length black choir robes are a wonderful addition to any minister's wardrobe. Designed with practicality and professionalism in mind, the robes are fastened with a concealed zipper while stylish buttons on the shoulder provide a fresh, fun look. Featuring a V-neck collar and flared sleeves, your choir ensemble is sure to impress by donning a matching set for your next performance. A bit more casual than a cassock, but still appropriate for nearly any church event. This garment is 100% polyester. Dry clean only., and comes in a range of sizes to accommodate all wearers -- whether you're a soprano or a bass.